37TH DREAM: Janis Joplin said, "...letting yourself feel all those things that you have already on the inside of you but you're all the time trying to push them aside because they don't make for polite conversation or something ..."
Janis Joplin said, "...letting yourself feel all those things that you have already on the inside of you but you're all the time trying to push them aside because they don't make for polite conversation or something ..."
Here is a delightful interview with Janis that I hadn't heard before. 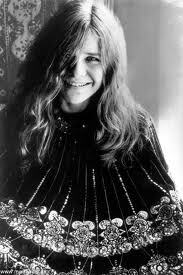 What a shock it was to hear the news of her death on October 4, 1970. What a shock today realize that was 42 years ago. That was a wonderful interview. She seems so laid back and yet such an intense and quick mind. I clicked on another video that must have been shot during the same interview where she talks about Tina Turner as being the best female singer. Interesting that Cavett didn't seem to know of Turner. Yes, it was such sad news about her, and Hendrix too. I remember both of those days so well. I sometimes wonder what both of them, and other musicians who died young, would have created had they lived out their lives. The glow of the lantern in the darkness -- oh, that's a beauty. I was but a wee lass when Janis died, so I don't have a memory of the day, and only realized much later what a tragic loss it was. Like Bev, I wonder what the world missed out on when it lost these great artists much too early. And it makes me sad that their ending was so avoidable and completely self-inflicted. Such a loss. Yes, very nice, natural interview. I kinda like the interviewer's style too: square, but open-minded and curious and not in your face. Also love the bit at 1:20 where he reaches over to light her smoke! "The road leads to the sea."